My big focus right now is planting the garden that I should have planted weeks ago. I thought I'd share a few quick things I found recently. 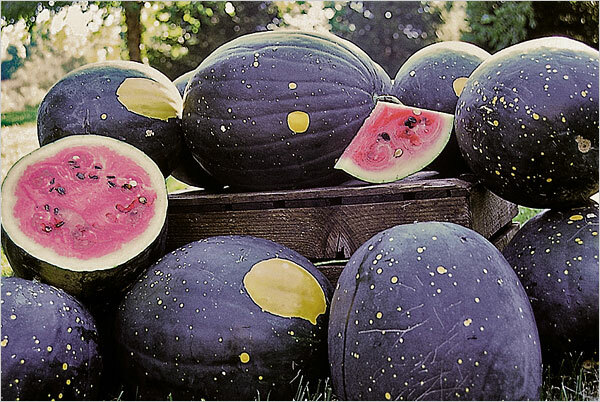 I love these fantastic Watermelon Moon & Stars heirloom seeds on Etsy. They really do look like one of those fantastic vintage black globes. One of these would be wonderful in the garden. 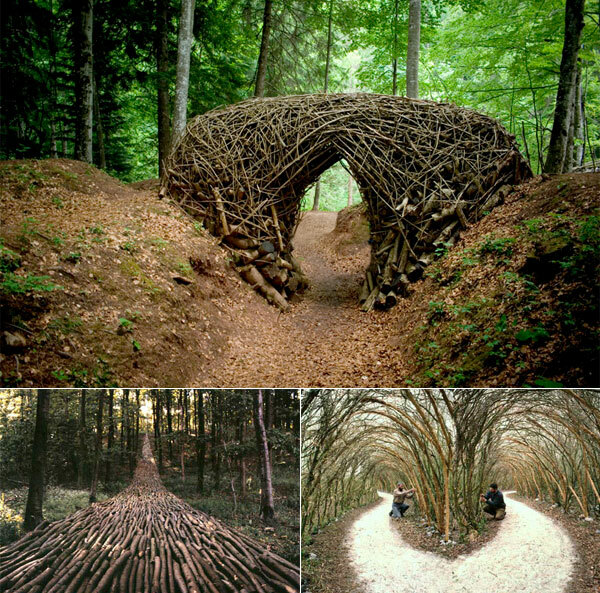 Inspiring environmental art below from Arte Sella, an international exhibition that takes place in the fields and woods of the Sella Valley in Italy. Love the litte pagoda style gazebo! Do you think I could build an Arte Sella style archway behind my garage? it would be so much nicer to look at art rather than a fence. yes, yes and yes! they are all gorgeous! I love those speckled melons and the art in the woods. the pagoda is dreamy!! Those watermelons are amazing! I love that last image too. So funny! 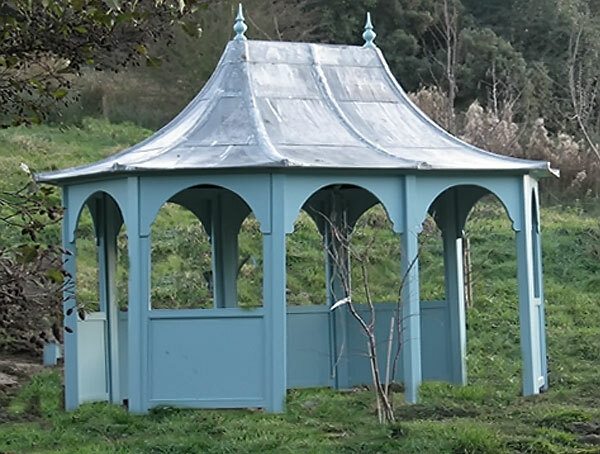 I just blogged about HSP Garden Buildings last week. It's a company I knew from home in Dublin! Arte Sella is amazing!! what a beautiful idea!! thanks so much for sharing and good luck planting your garden!! i love it all. wow on everything. I need to get a pack of those watermelon seeds...and a backyard. wow I am so happy to know of this etsy seller! i love heirloom seeds - and just ordered some black radishes from him! awesome!